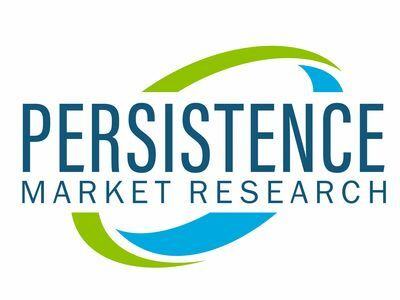 NEW YORK, Feb. 5, 2019 /PRNewswire/ -- Persistence Market Research gives vital insights on the global plant activators market in terms of value and volume, in its latest report titled, 'Plant Activators Market: Global Industry Analysis (2013-2017) and Forecast (2018-2027)'. The global plant activators market is expected to show a healthy CAGR of 5.8% in terms of value during the forecast period. PMR offers vital insights on the global plant activators market with several forecasting factors in the report. Plant activators stimulate the natural defense mechanism of plants against various biotic and abiotic stress conditions in cereals & grains, fruits & vegetables, pulses & oilseeds, as well as ornamental and turfs, thus, helping to meet the rising food demand from consumers. This proves to be a major driver for the plant activators market. By source of plant activators, the biological segment is expected to dominate the market over synthetic plant activators in terms of volume. The biological segment is expected to grow at a CAGR of 5.2%, and account for around 60.5% of the market share, owing to the rising preference of people for biological products, as well as increasing environmental and health hazards due to the use of chemicals. In the form sector of plant activators, the liquid segment is a prominent one, due to its ease of use and fewer hazards. By application of plant activators, the foliar spray and seed treatment segments are expected to dominate the plant activators market over the forecast period, whereas, under crops, the fruits and vegetables segment has a substantial share in the market. Increasing population, rapid urbanization, and the fast-growing need for energy resources are taking a toll on the Earth's resources, and resulting into reducing the arable land day by day, thus increasing the need to produce more with less available land. The increasing attacks of pests and diseases due to changing climatic conditions is leading to decreased yield and quality of various agricultural produces. As such, there is the rising demand for crop protection solutions like plant activators. The increased use of chemical pesticides has led to a rise of resistant pests and insects. Plant activators are a popular option to combat this rising resistance. The increasing number of health concerns and growing awareness about the hazards due to the use of chemical crop protection solutions has increased the demand for safer options like plant activators. The increasing number of vegans is also proving to be a driver for the plant activators market. Thus, with the overall rising demand from the agricultural sector, the global plant activator market is expected to significantly grow over the forecast period. Europe, Asia Pacific, and North America, currently have major shares in the global plant activators market, due to the presence of major players, and also the increasing demand from the agricultural sector. However, Asia Pacific is expected to be a prominent region in the global plant activators market over the forecast period, owing to the growing agricultural sector, rising awareness, and increasing demand for crop protection products. Despite the very low production of plant activators in Latin America, the demand for various plant activators is robustly increasing day by day, especially from the expanding fruits and vegetables market. The Middle East & Africa region has a relatively lower share in the plant activators market, due to less agricultural activities in the region as compared to the other regions of the world. This report highlights the trends and opportunities across every segment to give detailed, vital analysis and insights on the growth of global plant activators market. The final section of the report offers a competitive landscape of key players in the plant activators market. Company profiles also offer long- and short-term strategies, key offerings of manufacturers, and the recent developments in the plant activators space. Key market players in the plant activators market space that are profiled in this report are BASF SE, Isagro SpA, Futureco Bioscience S.A., Syngenta, Certis USA L.L.C., Gowan Company, Plant Health Care, NutriAg Ltd., Nihon Nohyaku Co., Ltd., UPL Limited, Jaivik Crop Care LLP, Jaivik Crop Care LLP, Koppert B.V., Agrauxine S.A., and NACL Industries Limited.